» Ideal for use where 1 tool is needed per bore. 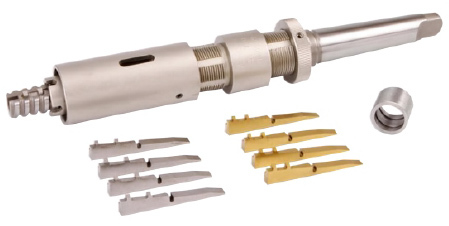 » One piece cryogenically treated tool bit ensures maximum life. » Its suited for CNC application on account of 1 piece mandrel construction & short design. » Note : Grooving tools are available for MM bore sizes also, please enquire.